Key Difference: Chromecast is by Google and hence has the most support for its own apps such as Google Play Music and Movies. Roku was one of the original video streaming devices available in the market, and one of the forerunners who started the race of video streaming devices. The primary differences between the two devices is how they function. Video Streaming is all the rage right now, as one can basically watch what they want, when they want. Also an added boost is that these services such as Netflix, Hulu, Amazon Video, etc. are not restricted by the traditional rules that apply to television programming. This allows these services to come up with more relevant and interesting content, while also being able to stream content that is playing on cable. Hence, it’s a plus plus. However, most of these services are available for use on phones, tablets, and computers on which these apps are available. This is where video streaming devices, such as Roku, Chromecast, and Amazon Fire come in. The allow one to stream the content from services such as Netflix onto the TV or projectors, and that too for a fraction of the cost of getting a Smart TV, which is the other alternative if one what to watch this content on the TV. Still, of the three which one is better? Which one to get? Chromecast is by Google and hence has the most support for its own apps such as Google Play Music and Movies. As a Google product is also garners brand recognition and support for most of the other apps out there. It does not however have support for its competitors such as Amazon Video, which plays exclusively with Amazon Fire. Still, there is a workaround on that as Chromecast allows one to mirror their phone or computer’s screen onto the TV via Chrome. Another popular video streaming device is the Roku. 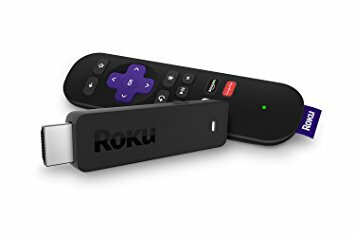 While Chromecast and Amazon Fire are popular because of their brand names, Roku was one of the original video streaming devices available in the market, and one of the forerunners who started the race of video streaming devices. Hence, the name Roku, even if not as popular as the other two, is very well respected in the industry and one who knows what it is doing. One of the primary differences between the two devices is how they function. Roku comes with onboard where one can download and store various video streaming apps; one can then just open these apps and play the content they want. The Chromecast, on the other hand, is something different. It has practically no storage, and it does not allow for the apps to be downloaded or stored on the device, instead the apps need to be stored on the phone, and the Chromecast connects to the phone and streams the content from there. Hence, in order to control the content, one must have the phone, table, or computer, whichever device is streaming the device on hand. However, one the content is played, the phone is not directly required and hence one can use the phone to do something else, such as play a game. Even if the phone leaves the room, the content will continue to stream. A benefit of Roku is that the system comes with a remote which can be very handy when it comes to search for content to watch, as well as to control the said content. 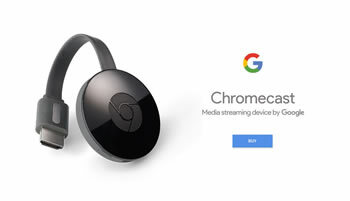 Chromecast, on the other hand, lacks a remote, as according to its design, one must use the phone, table or computer to stream and control content on the Chromecast. However, using the phone, table or computer to connect to and control Chromecast has a hidden benefit. Since the Chromecast directly connects to the phone, it can be used to mirror the screen of that phone or device. This allows one to also play local content such as personal photos, videos, etc. on the screen. Something that the Roku Stick does not outright support. No interface to speak off. Works primarily over the phone. Cannot download or store apps. Connects to the phone which stores the apps. Dependent on the phone, tablet, or computer. Does not come with a separate remote. Phone, tablet, or computers acts as the remote. Streams directly from supported apps via phone, tablet, or computer. Can also stream local video, music, photos, etc. via mirroring. Can mirror the screen of the phone or computer directly via Chrome. Can also mirror tabs and Chrome windows.